A couple of weeks ago I made cinnamon rolls for breakfast. I made the dough the day before, kneading it by hand, and letting it rise for 2 hours before forming the rolls. I then let them rise for another 2 hours before leaving them in the fridge overnight so they could be baked the next morning. With the smell of sugar and cinnamon in the air, I began to gather my ingredients for making the cream cheese frosting to go on top. Cream cheese isn’t all that common here, but I did manage to find some, and there’s nothing I like better than cream cheese frosting on my cinnamon rolls. 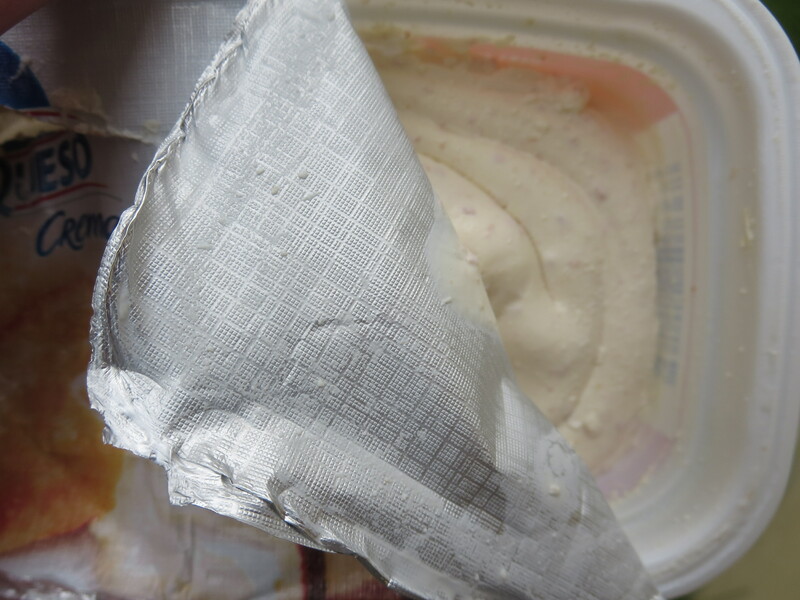 Imagine my surprise when I opened the package and instead of pure white creaminess, found red flecks in my cream cheese! I actually let out an audible gasp. What in the world could be in my cream cheese? Upon closer inspection I found my mistake. While I was complimenting myself on avoiding the package with added herbs, I failed to notice that the package I grabbed was chock full of bacon! I actually considered for a moment how bacon bit cream cheese frosting might taste on our cinnamon rolls, and just as quickly decided that though bacon might make most things taste better, this was not one of those times. So, our cinnamon rolls got a little glaze on top instead of frosting, and we managed to enjoy them just as much. Once my cinnamon roll-induced coma subsided I was left with a startling discovery. 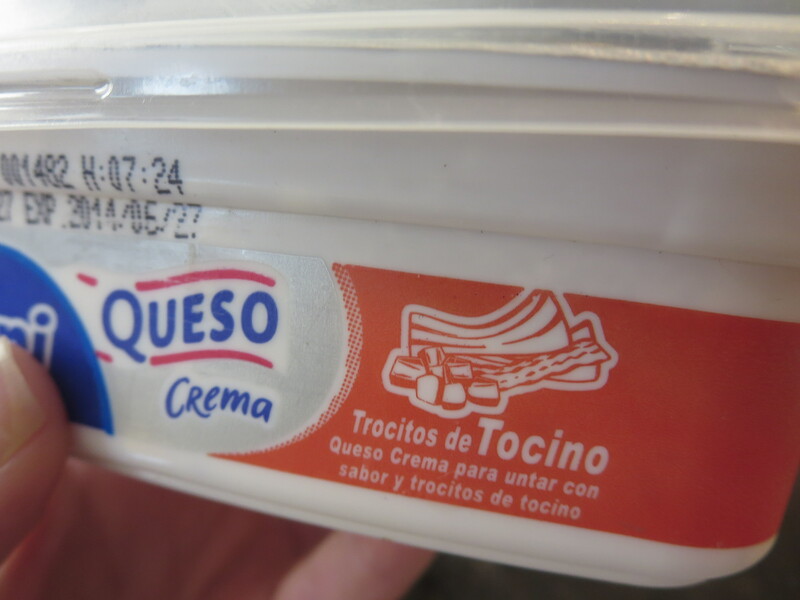 I now had a package of bacon flavored cream cheese in my fridge that I had no idea what do with (You might be tempted to think that it would taste good, but trust me, it doesn’t). Then, a few days ago, it came to me! 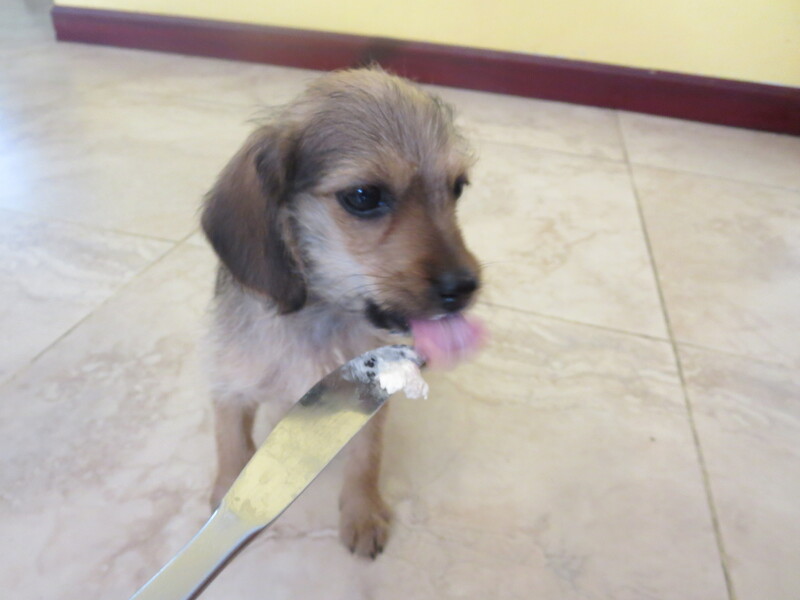 We’re in the middle of house training our new puppy. She’s been doing pretty well, but I wanted to give her a bit of extra incentive every time she went outside to go potty. What better way to say, “Good girl!” than with a dollop of bacon flavored cream cheese? At this point I think she goes outside more often than is absolutely necessary just to get her reward. But, hey, whatever works! Plus there’s the added bonus of getting rid of that package of cream cheese. 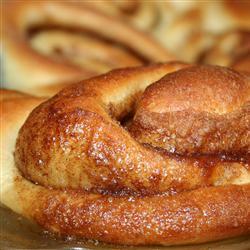 For those of you who would like the cinnamon roll recipe I used, you can find it here. Add an extra dollop of bacon-free cream cheese frosting, just for me. She sure is cute. I haven’t seen bacon-infused cream cheese in the states. Maybe it’s good on bagels. It might go well on a sandwich with the right ingredients. It just had a really chemical taste in my opinion.